Stranded in Chicago: DIY Erin Condren Planner Cover! It's craft time! 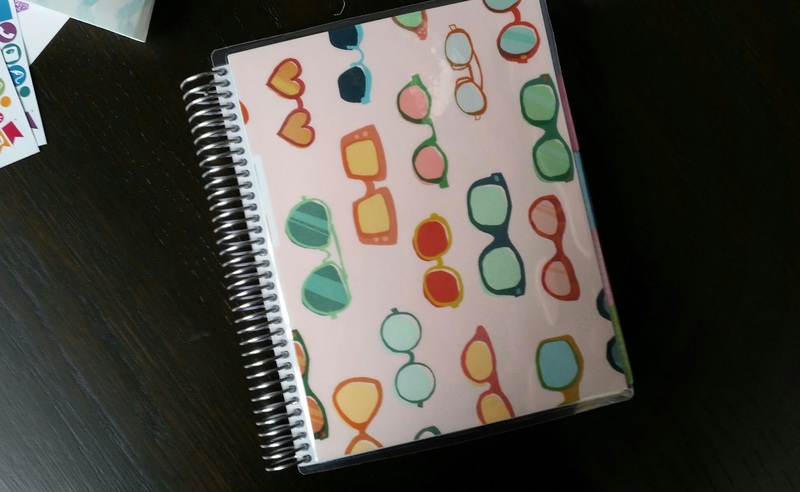 Personally, I specifically have an Erin Condren Life Planner, but I can't imagine it wouldn't work for pretty much any coil bound planner. Bonus! I used the same method to make a reusable packing list. Follow along! First thing you need to do is measure out and cut paper for both the front and back covers. 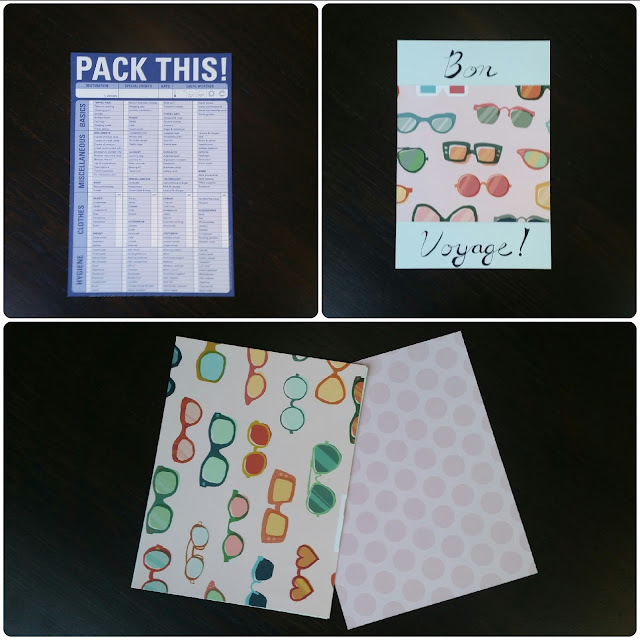 I like to use cardstock because it adds some extra durability to the finished product. 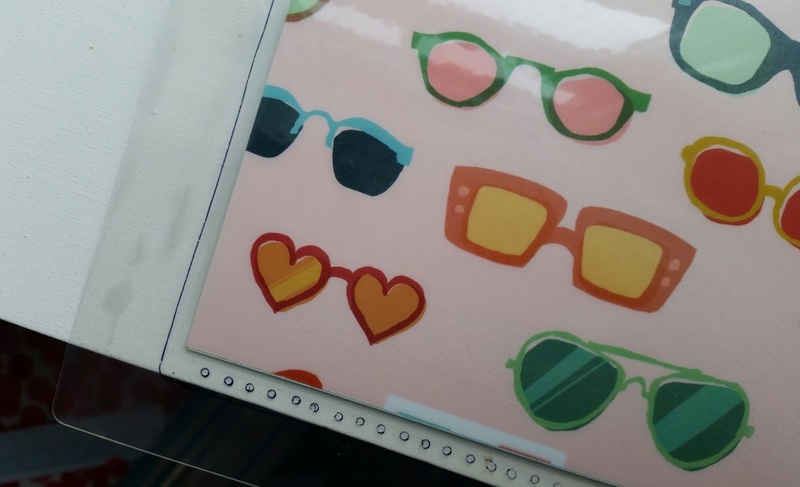 Since I have sticker paper, for the back cover, I printed out a pattern I liked on glossy sticker paper, cut it down, and then stuck it onto a piece of cardstock cut to the same size. I would typically do the same process for the front, but I got this super cool paper in my July Messy Box from A Beautiful Mess and I wanted to use it here. And no, I did not mean to cut it sideways, but I am a dork. But if you don't have sticker paper, you can just use double sided tape to stick the two pieces together to get that sturdiness. Now go on and laminate that thing. I took mine over to FedEx and it cost me $2-3 each for the front and back. Then, after you've gotten your laminating done, trace the edges and coil holes of the original cover onto the laminated sheet. I used my black Staedler Triplus Fineliner to do it because you can just wipe it off with a damp paper towel if you have some left on there after you're done cutting. Use your scissors to cut it down to size, and then punch out all the holes. This will probably make your hand hurt, FYI. After you've punched all the holes out, cut a slit from the edge of the laminate to the hole so you can slide it over the coils. Repeat for the back cover, and any inserts you've decided to make in the meantime, push it onto your planner and voila! You've got your very own custom planner cover. If you're less forgetful than me, you might even add your name to the front cover before you laminate it. If you give this a try, post it to Instagram or tweet a picture with the hashtag #strandedinchi so I can see your pretty planner!